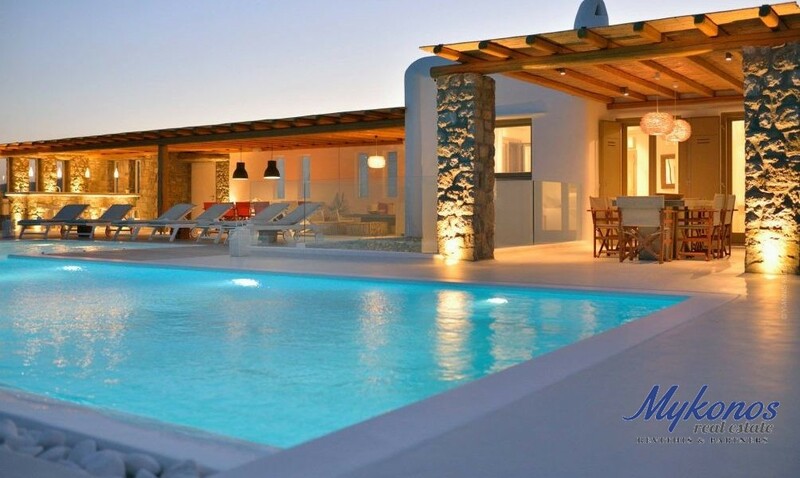 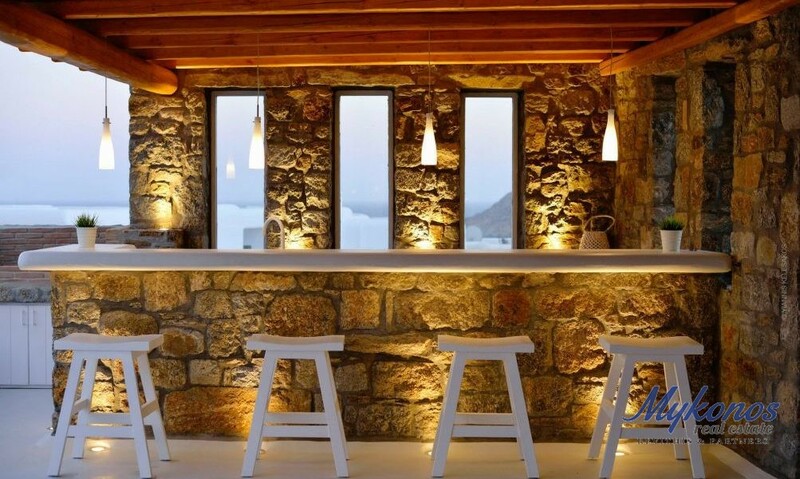 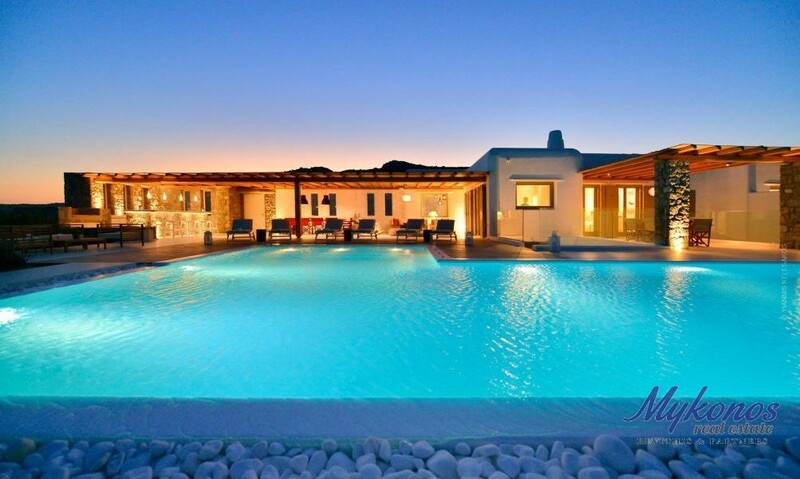 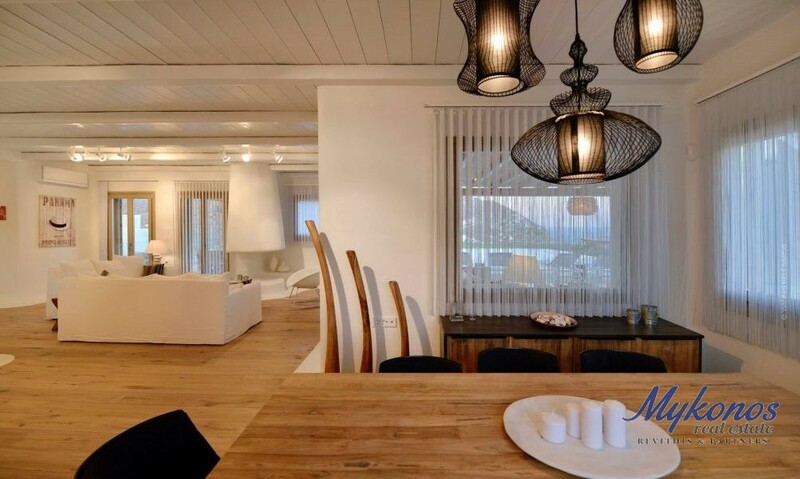 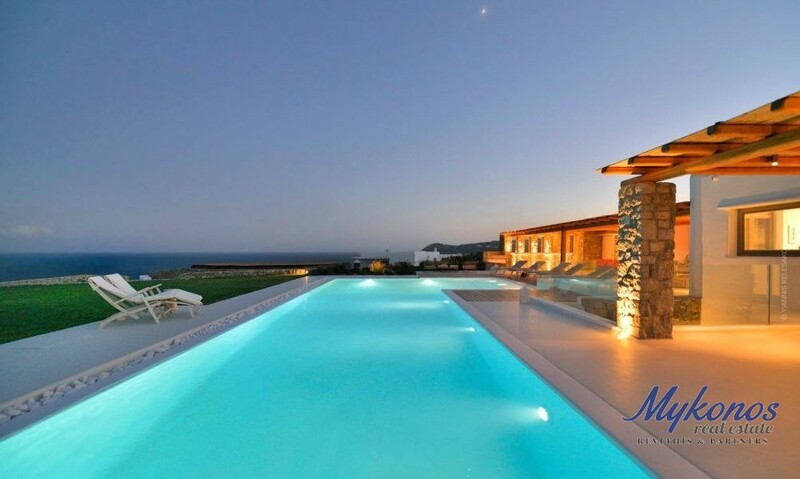 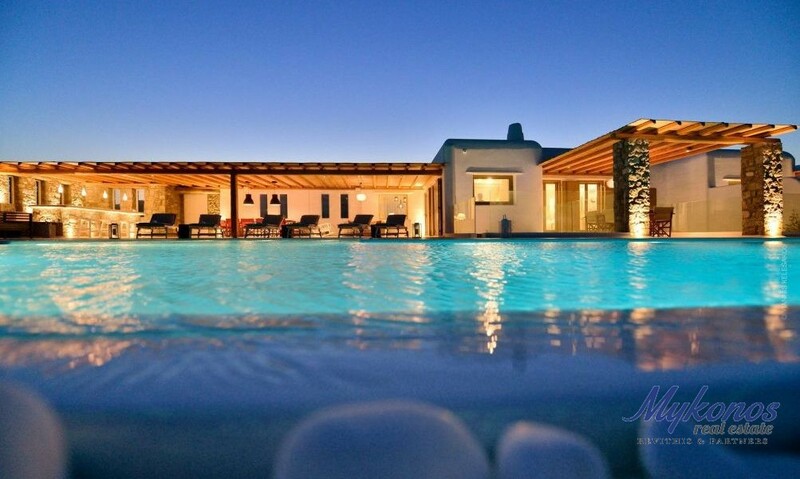 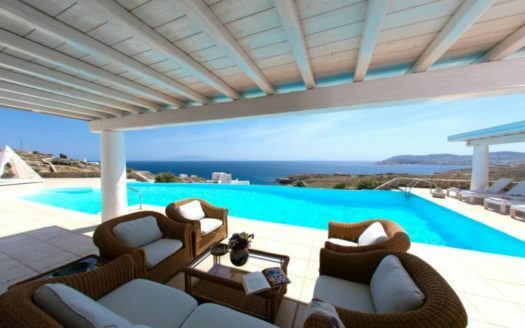 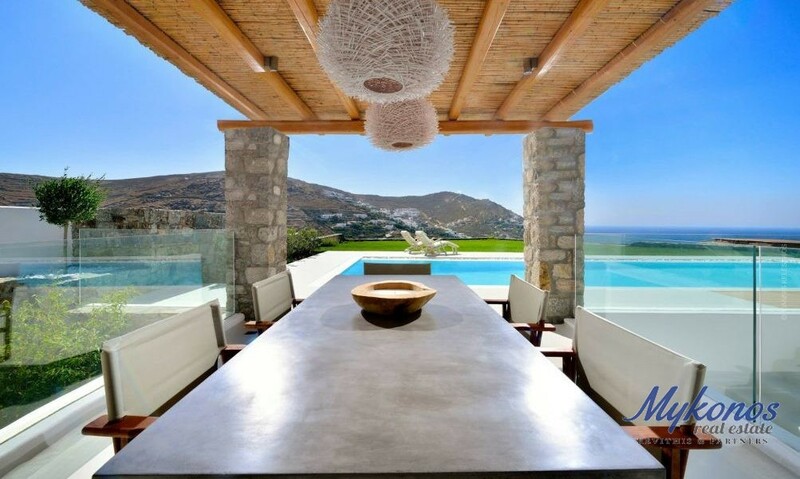 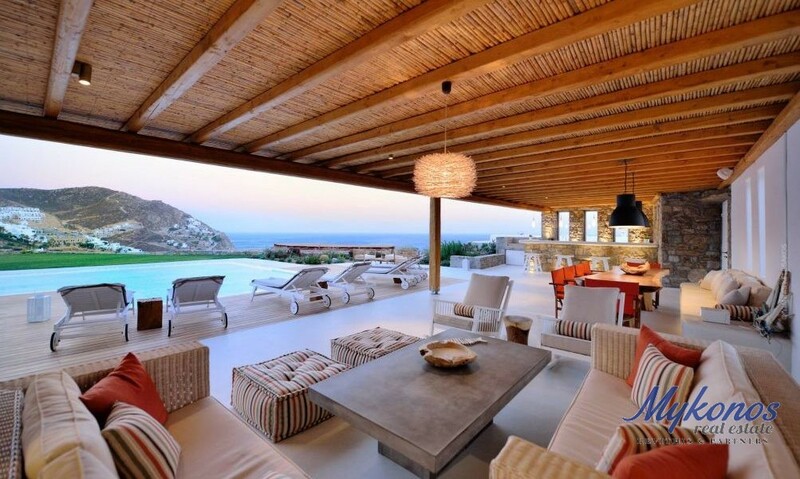 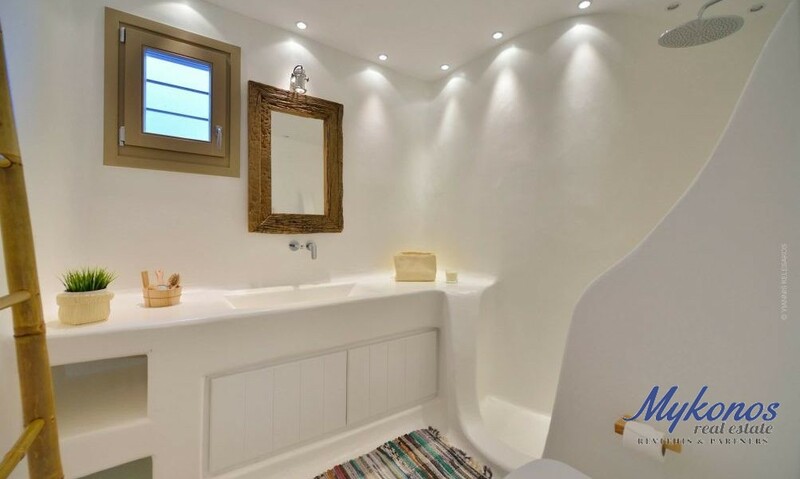 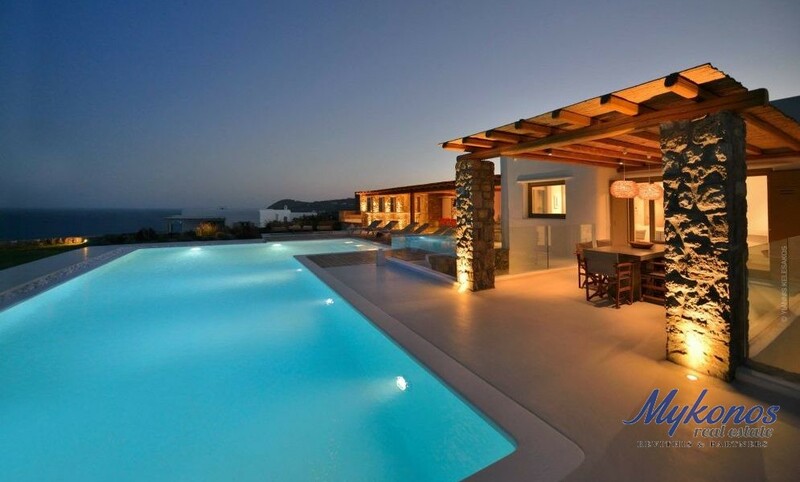 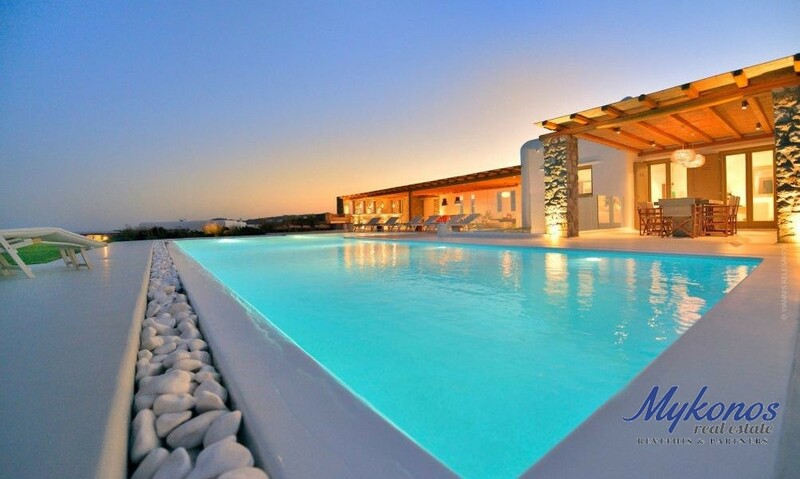 Newly built 220m2 villa in available for sale at a compile in the area of Elia, Mykonos. 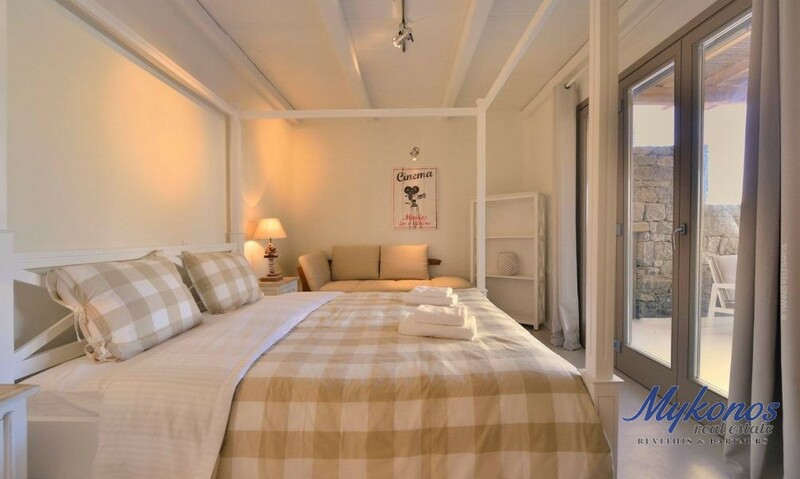 The house is built on two levels and includes four spacious bedrooms with the corresponding amount of bathrooms. 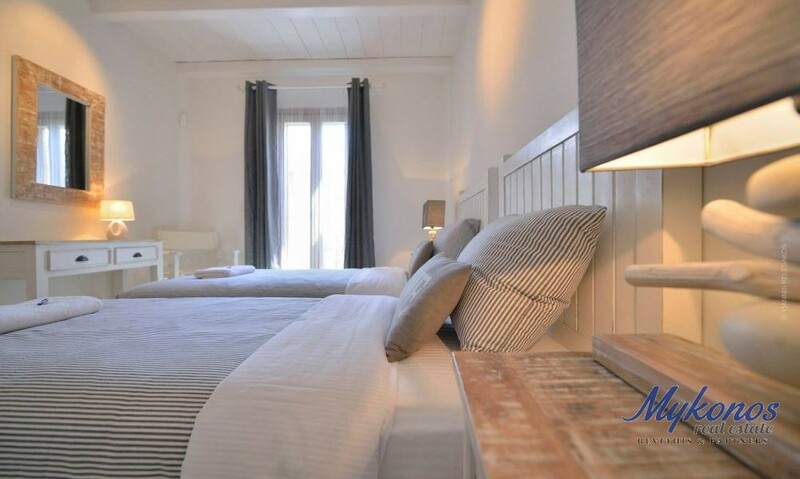 All the rooms have been looked after the the very last detail. 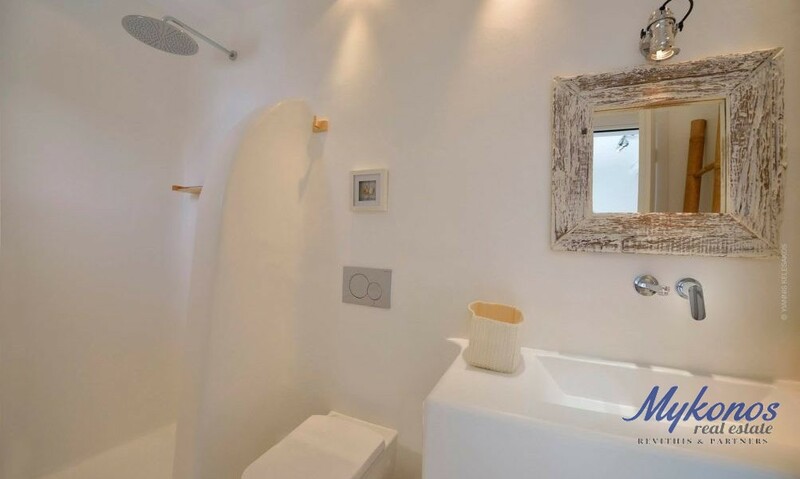 Furthermore, There is a service room available for the staff with a capacity of two with its own bathroom and small kitchen. 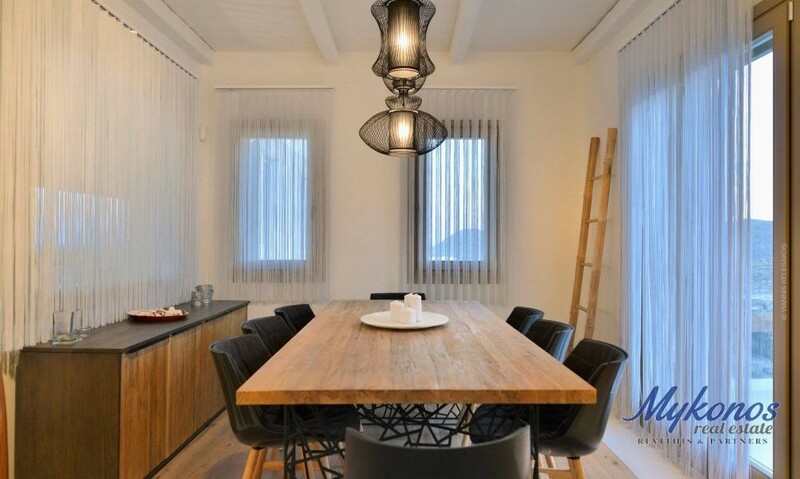 On the ground floor there is a large dining table for eight, a spacious living room, a fire place and a separate kitchen fully equipped as well as a table for four and a WC. 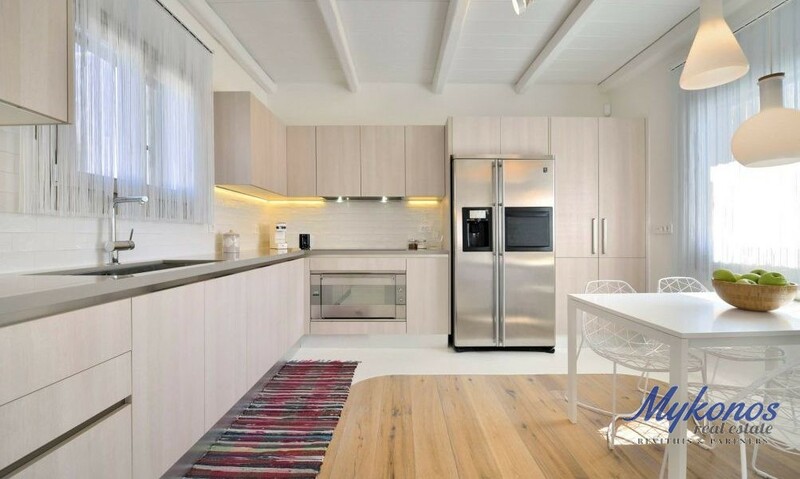 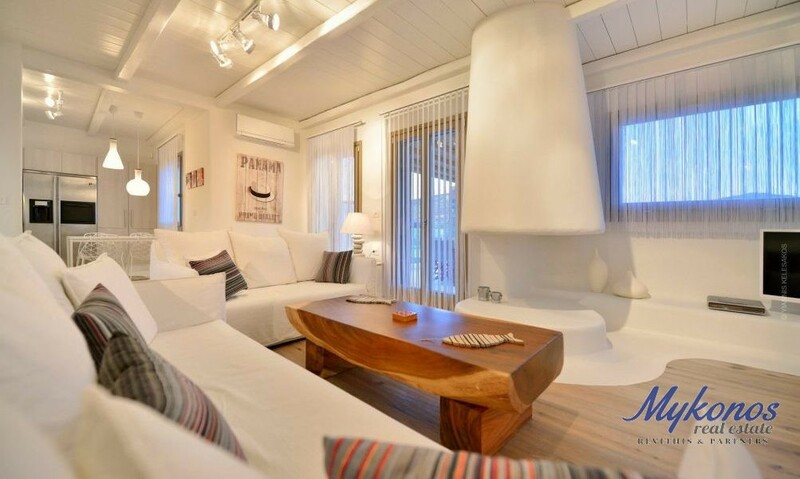 The extra commodities include A/C in all the areas, satellite TV, wireless Internet access, storage space,covered private parking space with the capacity for four cars and the option for maid service upon agreement. 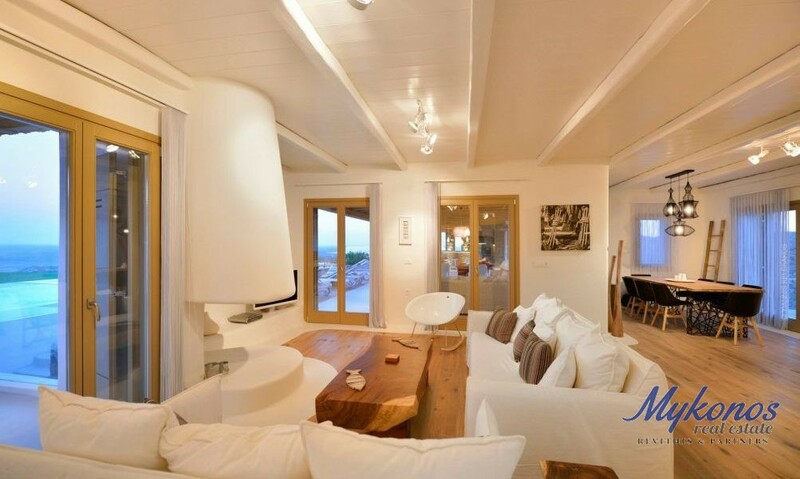 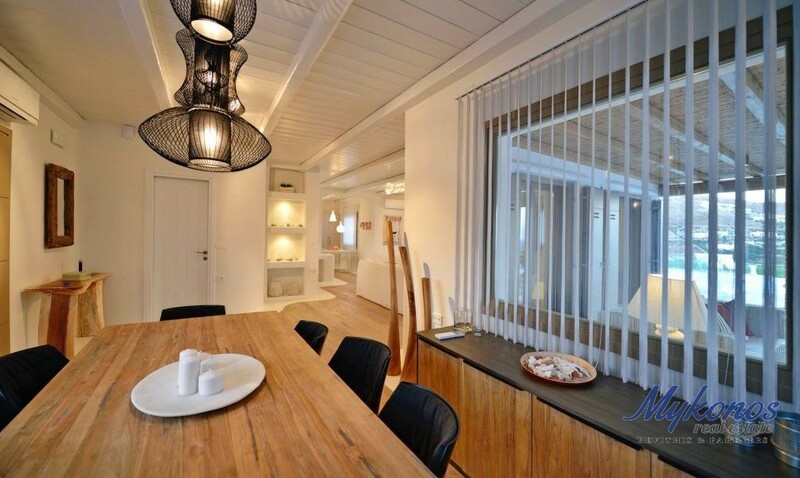 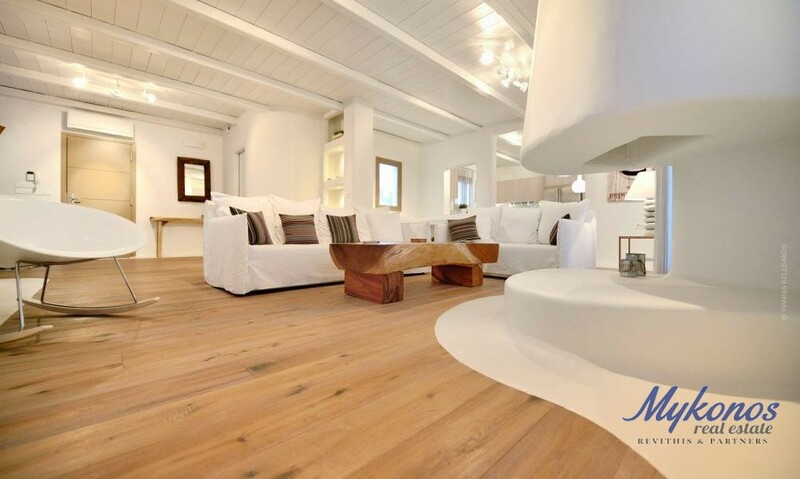 The interior design is characterized by lean and modern lines with the use of the tradition white color. 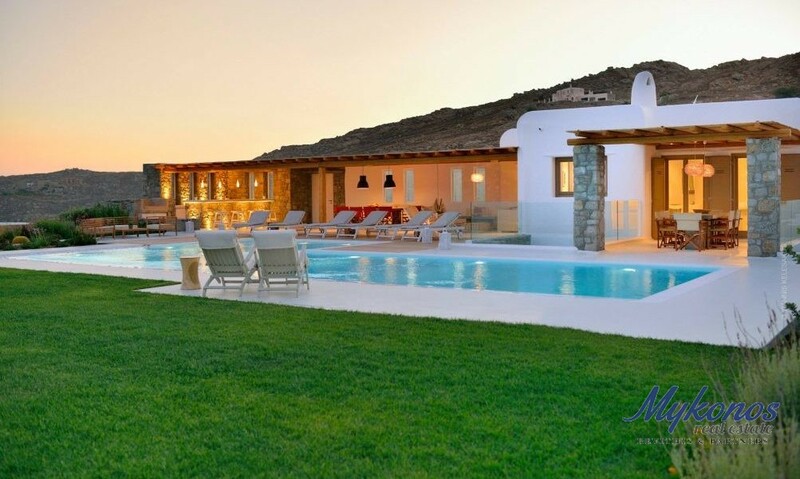 Especially well designed is the exterior space of the villa which covers a total of 1200m2. 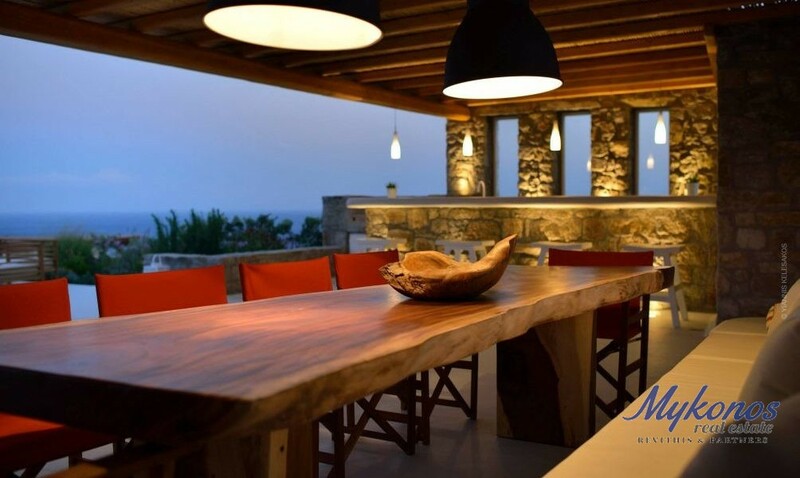 It features large wooden terraces and seating for eight people, two separate dining tables for six and ten people as well as a full bar and barbecue. 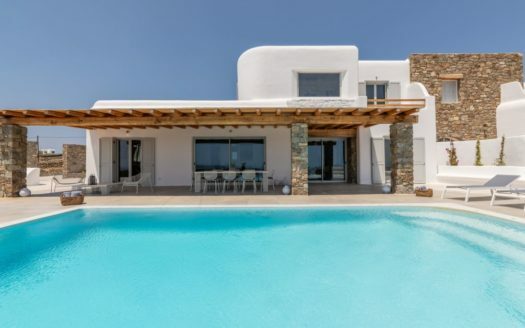 In front of the house with a fantastic view of the sea there is a large private pool of14x7m, a jacuzzi and a wonderful green garden which creates an environment perfect for relaxation. 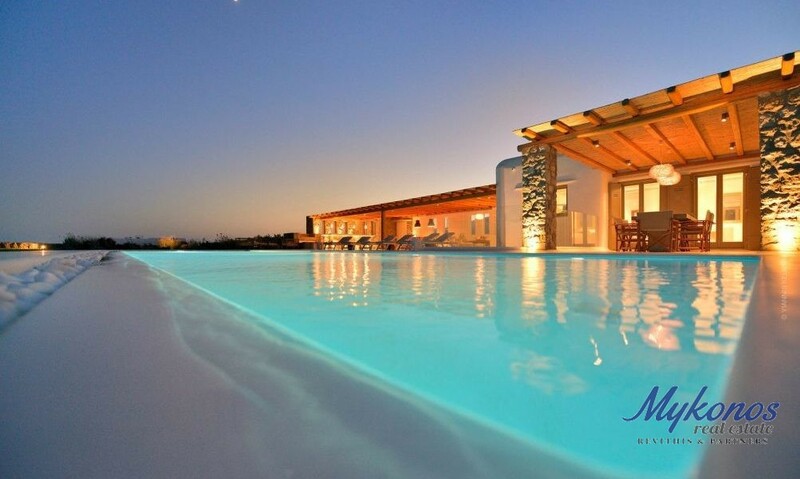 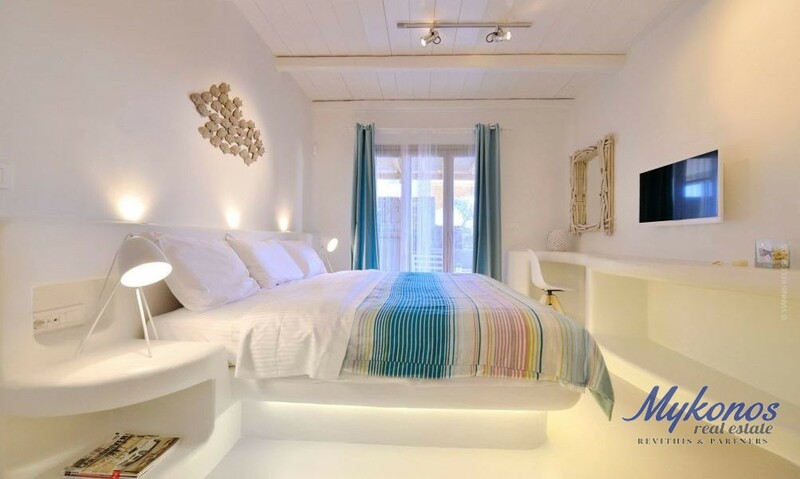 The luxurious and comfortable villa also offers a wonderful panoramic view of the sea and the islands of Paros and Naxos. 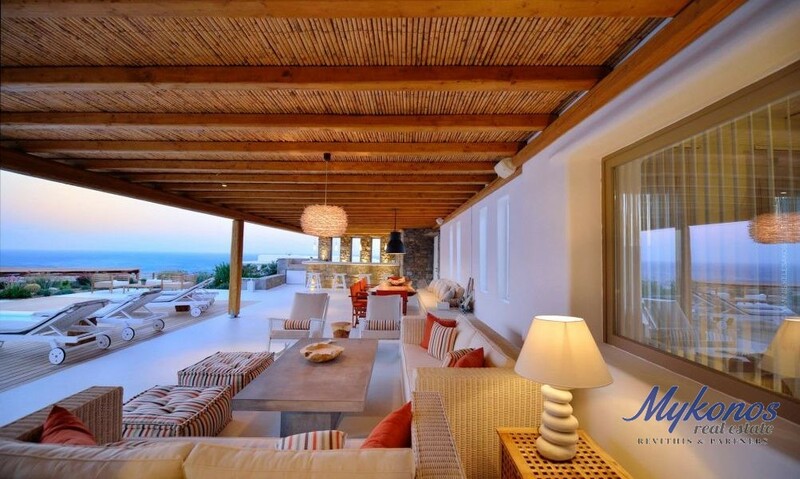 The house is protected from the north winds making it ideal for family and groups of friends. 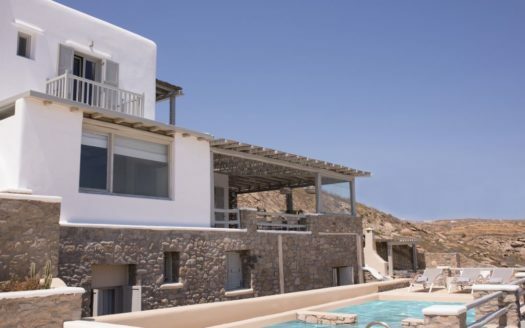 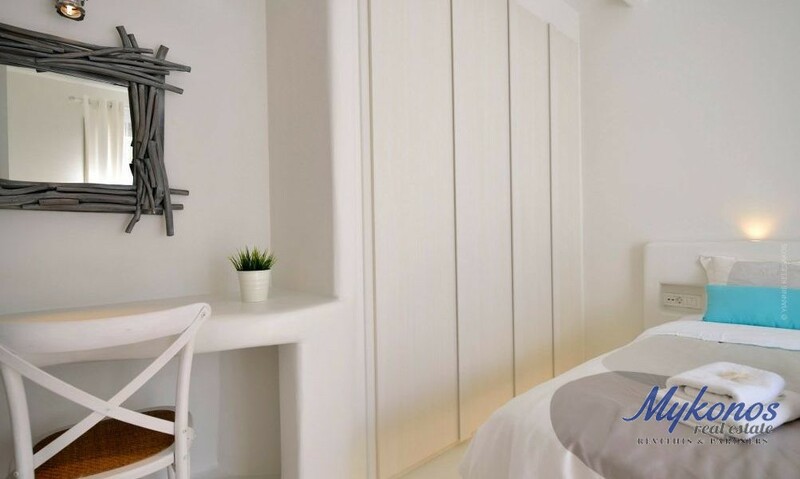 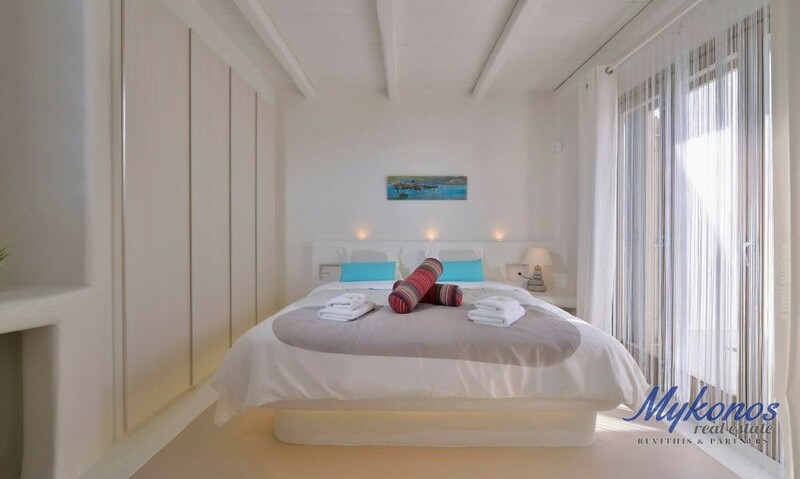 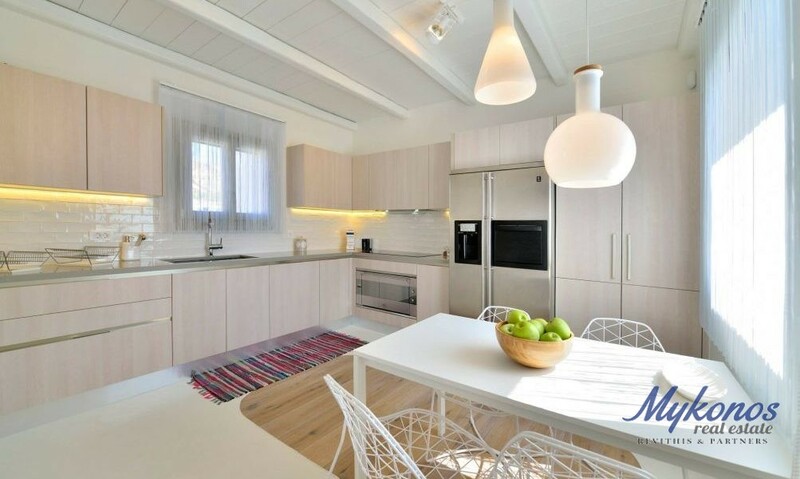 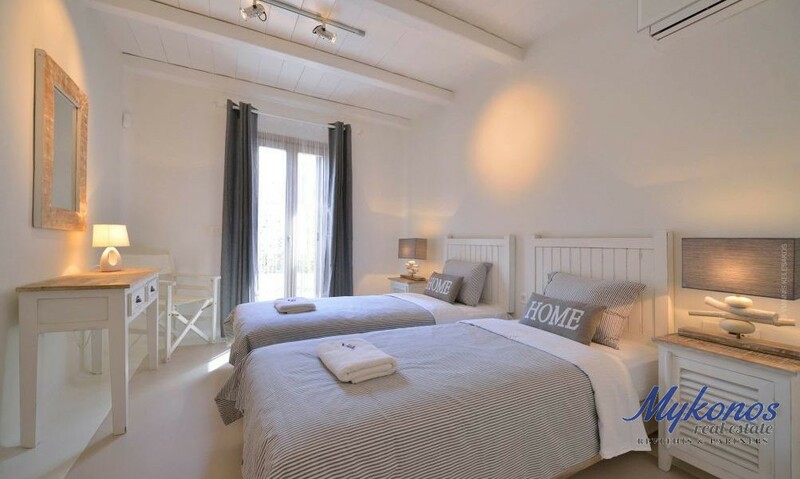 With immediate access to the Elia and Kalo Livadi beach and at a close proximity to the Ano Mera shopping center the villa is a perfect choice for your summer vacation on the cosmopolitan island. 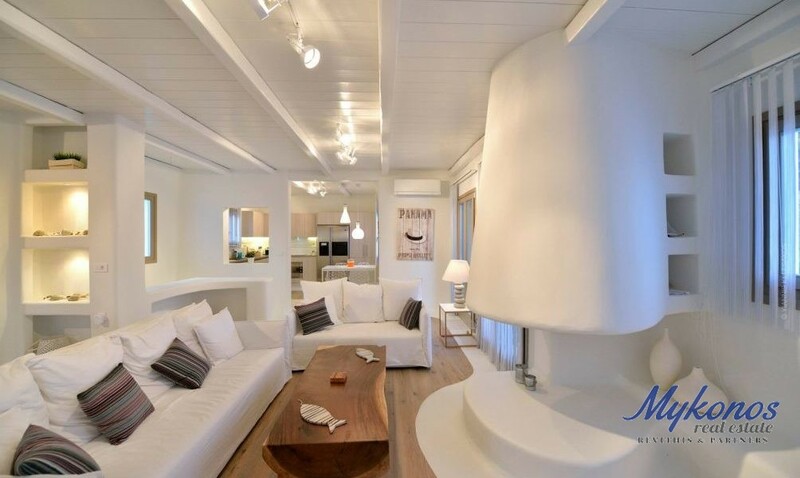 Unobstructed sunset views, sleek design, safety and a wind-protected location in Fanari.